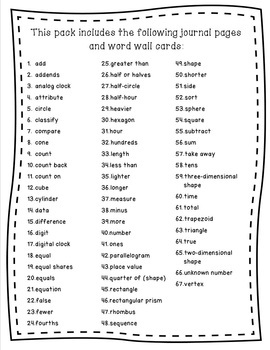 Mini Math Vocabulary Journals are a quick way to incorporate writing into math instruction. 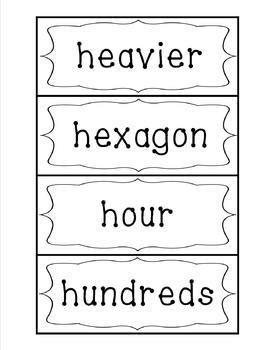 They are also a great tool for knowing how well students understand a math-related concept. 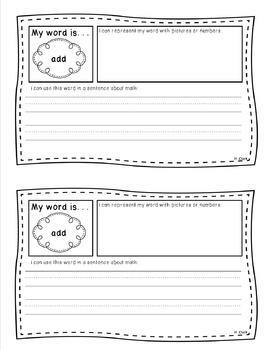 The journals can be customized to include only the vocabulary words you are teaching. 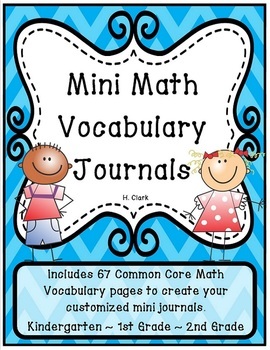 These journals could be used for Kindergarten, First Grade, Second Grade, and even Third Grade. **PLEASE CLICK ON THE PREVIEW BUTTON to view samples of the contents.